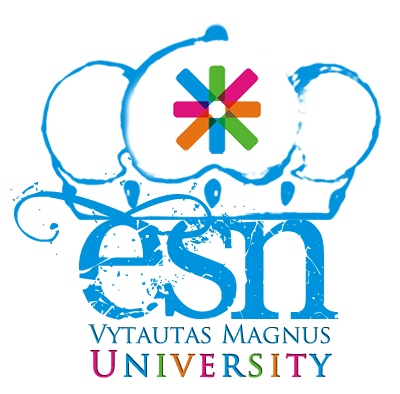 ESN VMU (Erasmus Student Network of Vytautas Magnus University) is a part of one of the biggest interdisciplinary student associations in Europe. Mission - Be visible in the space of international higher education in Europe. Provide opportunities for intercultural exchanges, encourage cultural understanding and self-developemenent under the principle of SHS – Students Helping Students. * GoPublic award for the best ESN project in Lithuania.